Note: this is ONLY for the Boston portion of the Trek. If you are interested in the San Francisco portion, please register at the other link. You are allowed to attend both, but if so you must register and pay the deposit for both. Please note that a $50 deposit is required to confirm your spot - you will receive this deposit back in full if you attend the required Friday events. Please sign up no later than Jan 11th. Open to MIT students only - please note that SOs are not allowed to partake in recruiting on this trip, but are welcome for educational events based on availability. Please email us (foodandag.officers@sloangroups.mit.edu) if you are an SO and would like to attend this trip before you sign up. 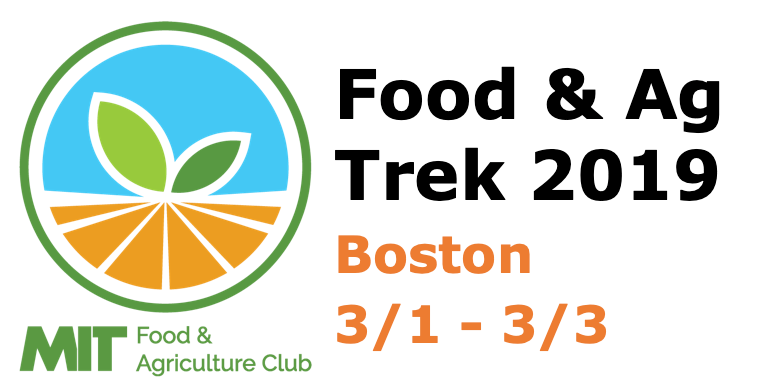 The MIT Food & Agriculture club will be touring a group of companies in the Boston area, including Indigo Ag, Bayer's LifeHub, and Freight Farm's Onsite facility. We will also be providing a series of optional activities related to Food & Ag, to provide learning opportunities. Please email/Slack the Food & Ag leadership team if you have any questions about signing up! 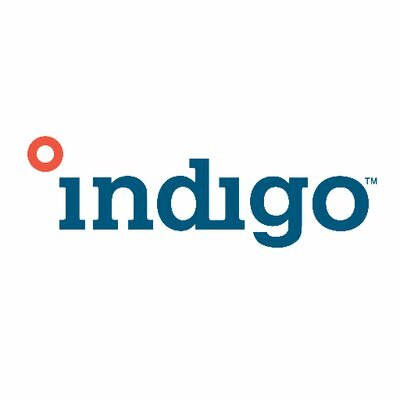 Indigo Ag develops microbial and digital technologies that improve grower profitability, environmental sustainability, and consumer health. They are Charleston, MA based with a second headquarters in Memphis. Bayer is a multinational life sciences company. Their LifeHub in Boston brings together local experts to explore challenges in health and nutrition. Freight Farms manufactures the Leafy Green Machine, the world's first hydroponic shipping container farm.